I am really excited to see more of the psychological horror game ‘Tether’ [Official Site, Steam Greenlight], so I spoke with the Creative Director about what we can expect from it. For a reminder, here’s their latest trailer. The interview is below. Q: First, can you introduce yourself? My name is Mark Gregory and I am the Creative Director on Tether. Q: 'Tether' is described as a 'psychological horror', can you describe some of the things players will face? A: Players will face horror in relation to the thought of losing hope for a better future, the idea that no time is safe to let your guard down and be happy. It’s less about a physical threat, and more about how a character, especially a mother of three can be broken down and realise the threat is more personal and affecting than any physical wound or torment could afflict on her, and then in-turn; the player. Q: So there will essentially be no enemies, the game is more about the atmosphere and the environment? We're still developing the ideas around potential enemies in the game but the essence of the game is focused solely around Lesleigh and her journey. Q: What do you have up your sleeve to keep it tense for the player? 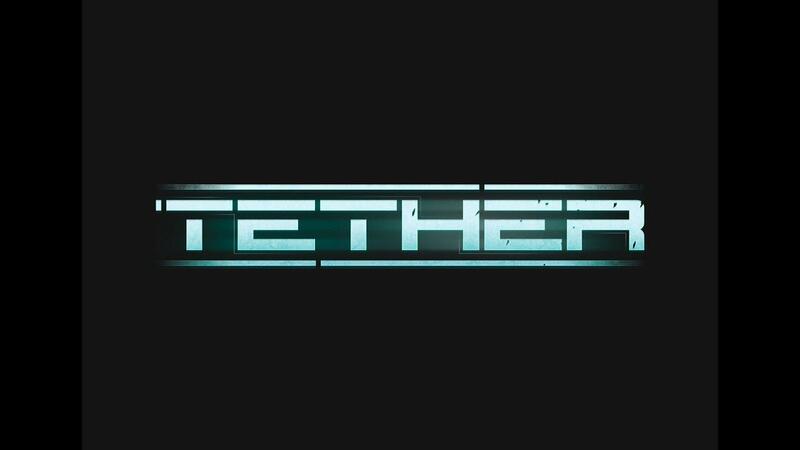 There will be moral and ethical choices to make in Tether which will alter some game-play components. We as a studio feel it's a lot more in depth mechanically than a traditional 'Walking Simulator'. We understand we maybe haven't framed that so well with our current trailer but that is only because we wanted to focus solely on Lesleigh's story. Q: Will we be doing any spacewalks? Well we can confirm that you'll be able to visit Mars in Tether but there isn't any spacewalks planned in this current revision of the game. Q: Will the game be a mostly solo experience, or will you encounter other people still alive? A: In a sense you will encounter other personalities that are a part of the journey in Tether, they will be building blocks as to piecing together the story structurally and thematically. Q: What are you doing to separate Tether from other games in similar settings? A: Setting Tether apart from other games in this particular setting was the main priority in terms of creating a unique game that engages the player in the visuals, sound & gameplay but also to make sure the story and characters feel worthy of the time spent given to them in the spotlight. To make sure that the theme of our game is tangible and relatable, to ground it in reality to make sure for a more inviting experience due to its character based nature. In essence we've tried to focus our game-play around traversing the environments of the UEF Sonne mixing in puzzles. As you saw in our game-play trailer one of our core mechanics will be when Lesleigh visits the different locations away from the Sonne. Q: You mentioned before you have already tested the game across various Linux flavours (see here), have there been any roadblocks that stuck out when developing with Unreal Engine 4 and Linux? A: The only real roadblock so far for ensuring a smooth port has been making sure the OpenGL platform allows our heavily PhysX based engine to run the way we want it too. Given time and funding we know we can ensure a good quality port for both Steam OS & OSX based players. Q: Do you have an expected release date for Tether? At the moment we have tentatively earmarked quarter three of 2017. Q: About the release, is the third quarter of 2017 for the full release or for Early Access? Being such a small team and working with no budget it'll more than likely be Early Access by Q3 2017. Q: Have you come to a decision on how much the game will cost? We have not discussed any sort of pricing model yet but the Steam Early Access model is something that interests us greatly after the success Layers of Fear had with it. I would like to thank Mark for his time and I very much look forward to playing this on Linux. I hope you found the interview interesting. It's good to see developers putting real effort into testing the Linux version. You can find Tether at the Official Site and vote for it on Steam Greenlight if you like the look of it. Can someone enlighten me what connection OpenGL has with PhysX? Quote Given time and funding we know we can ensure a good quality port for both Steam OS & OSX based players. I like the sound of that...! Hello SystemShockAliens! This looks really good so far.